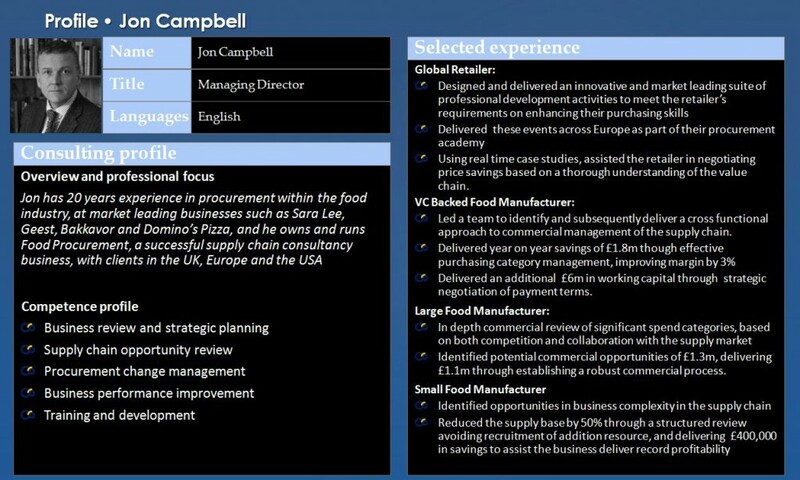 We are a consultancy business, specialising in the exciting and challenging area of business management and purchasing within the UK food industry. In this challenging market, expertise in the raw material supply markets is critical to deliver sustainable savings from the supply chain. An increasingly wide range of skills is required to deliver best value in this ever changing marketplace. 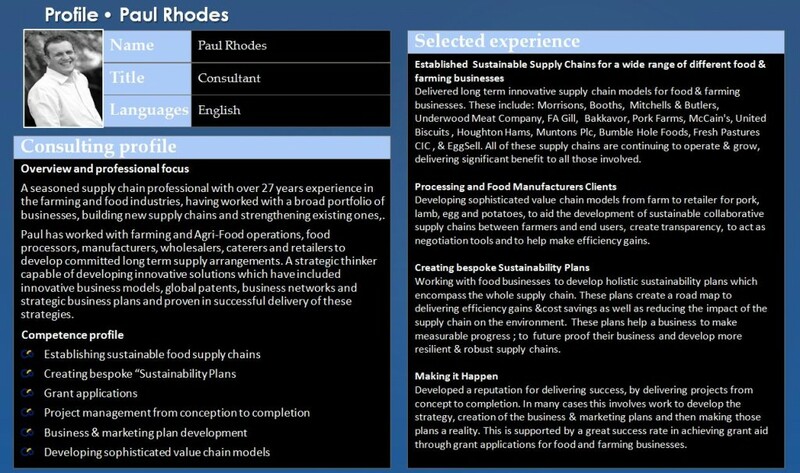 Food Procurement Services is ideally placed to meet you needs with experience in the ambient, fresh, chilled and frozen food sectors. 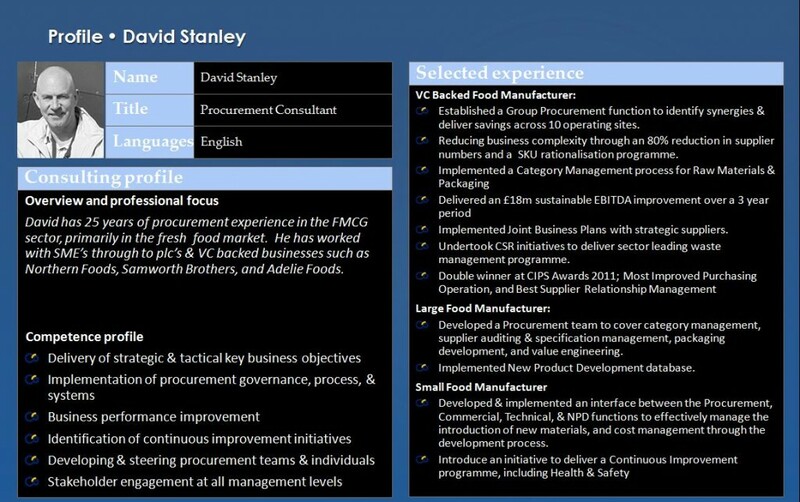 Take a view at our team profiles below to discover more about us and how Food Procurement Services can add value to your business. For an informal discussion please Contact Us.